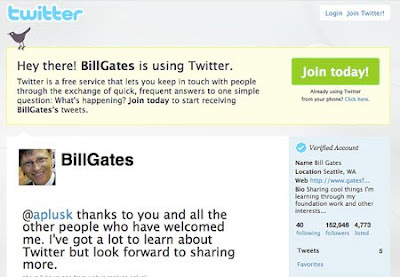 Finally, ex-Microsoft CEO Bill Gates has jointed twitter, and he's already got 221,853-plus followers. To kick off his tweets, he posted this message approximately 23-hours ago: "'Hello World.' Hard at work on my foundation letter - publishing on 1/25." Must Follow him.